Mixture of three protease inhibitors with specificity for inhibiting cysteine proteases. 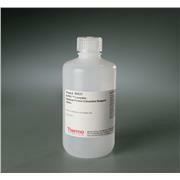 Supplied in lm DMSO. Contains: ALLN, Antipain, E-64 Specificity: Calpain l/ll, Cathepsin A/B, Cathepsin L/S Papain, and Cysteine Proteases This product is sold for laboratory research use only. 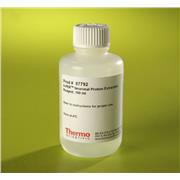 Thermo Scientific N-PER Neuronal Protein Extraction Reagent is a proprietary cell lysis reagent optimized for efficient extraction of proteins from all cellular compartments of neuronal tissue and primary cultured neurons. 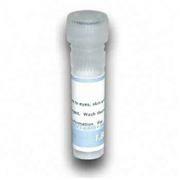 The Thermo Scientific Pierce LAL Chromogenic Endotoxin Quantitation Kit measures the amount of endotoxin in a protein, peptide or antibody sample using the Limulus Amebocyte Lysate (LAL) assay. 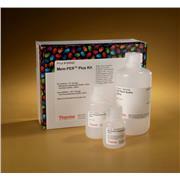 The Thermo Scientific Mem-PER Plus Membrane Protein Extraction Kit enables small-scale solubilization and enrichment of integral membrane proteins and membrane-associated proteins in a simple reagent-based procedure. 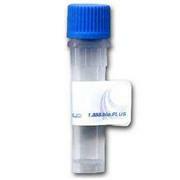 Serine Protease inhib cocktail I f..